The SAS-560 passive Loop antenna was built for MIL-STD-461 RE 101 testing. This passive loop antenna has 36 turns enclosed in an electrostatic shielded loop. 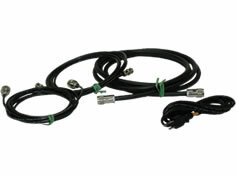 The loop diameter is 5 1/4" (13.3 cm) and has approximately 10 ohms of DC resistance. The Passive Loop Antenna is an ideal solution for a wide range of magnetic field testing. 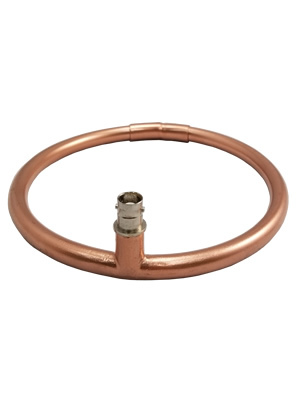 Whether used in a set to measure shielding effectiveness per MIL-STD 285 and NSA 65-6, or individually to satisfy specific requirements; this Loop Antenna is an efficient, low cost solution.